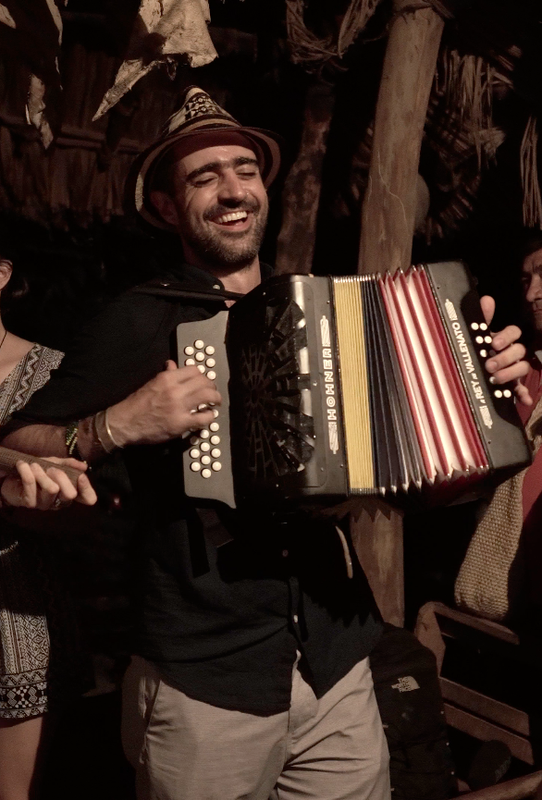 Join me on a unique MUSICAL TOUR in COLOMBIA where we’ll learn, dance and share with some of the most authentic traditional musicians in the country. Glad you ask. Check out the video below…and imagine you are in it! Nope. They are travelers like you and I who had the time of their life in a previous tour. But don’t take it from me…hear what THEY have to say about it while also getting a closer look in to our journey in the video below. What do a lawyer, a physician and GRAMMY-winning producer have in common? THAT THEY ALL LOVED THIS TOUR! In other words, you don’t need to be a musician nor a dancer to make the best of this journey. Music is the key to a culture; it serves as a bridge to meet and interact with people with whom we wouldn't otherwise meet and it allows us to discover new places and ways of life. Music opens the door so that we can interact with other communities. 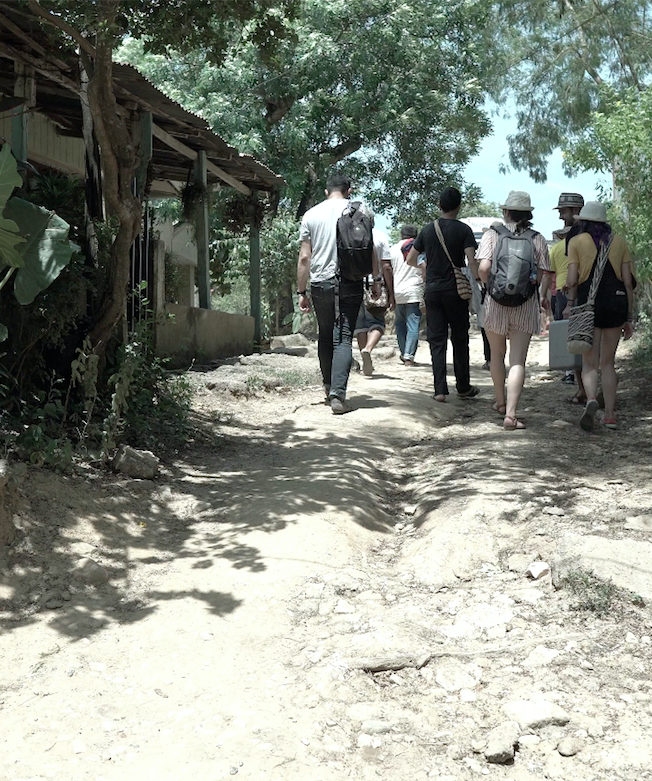 It also allows us to learn history, experience nature, local food and have a laugh with fascinating local characters. “The Land of a Thousand Rhythms” and home of “Magical Realism” has that perfect balance between having a flourishing culture and a growing infrastructure, while also being full of off-the-road hidden jewels that I’d love to show you. It’s a country of vast musical diversity and of an enchanting atmosphere where Native, African, European and other influences have met, to create a lush cultural mosaic. Well, for starters, I can make mean cup of Colombian coffee! But seriously, aside from being a musician and dedicating my career to working with Colombian music (and I won’t mention my credentials here, like that after graduating Berklee College of Music I’ve performed and recorded with many GRAMMY winners including Rubén Blades and Carlos Vives, sold-out shows at Jazz at Lincoln Center, served as Artist-in-Residence at Brown University and Dartmouth College, made the Billboard charts with my big band album “Cumbia Universal” and…oops…I guess I did mention a couple of things ;) I like to serve as a cultural bridge between Colombia and anyone who’s interested in my beautiful country. This tour is an extension of who I am as a person and as a musician; For years I have explored Colombia and its music finding inspiration for my songs and arrangements and I won’t be shy when it comes to sharing how my travels, readings and recordings have influenced my work. In fact, the title of this tour is “Caribe Contigo” - I named it after one of my songs! I also like to treat my tours like my music; they have to tell a story. The Government of Colombia has sent me to many countries to showcase and talk about the richness of Colombian music in front of thousands. I really enjoy doing this, but you know what I enjoy even more? Doing this for just a small group of fellow travelers while having a fresh “corozo” juice in the Caribbean Coast of Colombia. -All hotels and accommodation for 7 nights. -All ground transportation in Colombia excluding to and from airport. -Personalized attention: only 10 to 15 travelers people in our group, creating an intimate, and personable atmosphere. -All musical activities, private concerts, visits, workshops and performance spaces. This tour is not your typical “dinner and a show” experience. Instead, this is community-based tourism with a focus on music. By joining this tour, you won’t only be getting the experience of a lifetime but you will also be supporting musicians (and their communities*) who’s work has been, unfortunately, overlooked for centuries. 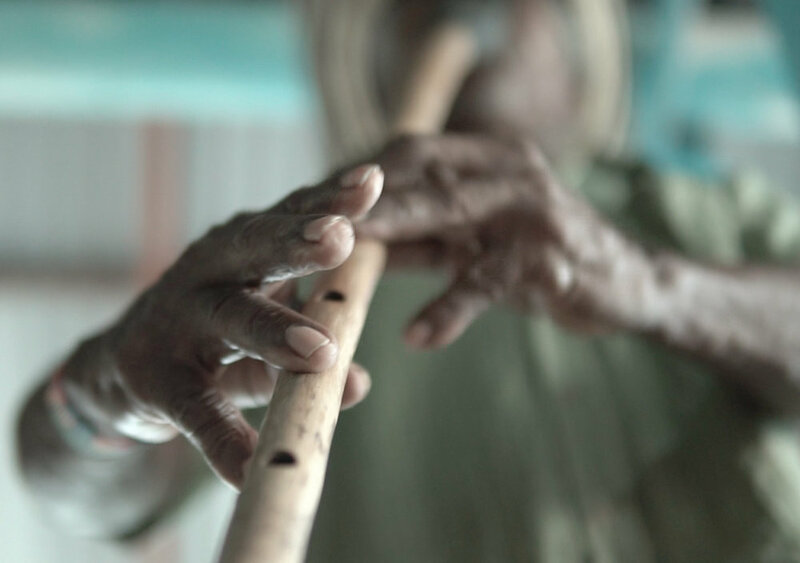 Below you can learn about our allies and their wonderful work making a difference for many Colombian traditional musicians and their communities. A non-for-profit organization that for years has helped dozens of traditional musicians - many of them farmers and seniors citizens - preserve and develop their art by acting as a grass-roots music label, management and culture platform. They’ve taken many of these artists to tour Europe and the Americas including renown stages such as Lincoln Center. An incoming tour operator that promotes and operates travel experiences based on cultural exchange and peace preservation. Impulse is a certified tour operator by Colombia’s Ministry of Tourism they will running the operations and distribute this. Ethnomusicologist, GRAMMY-winning producer and roots label creator Chaco, aims to produce significant musical documents that enrich the world and preserve ethnic cultures. 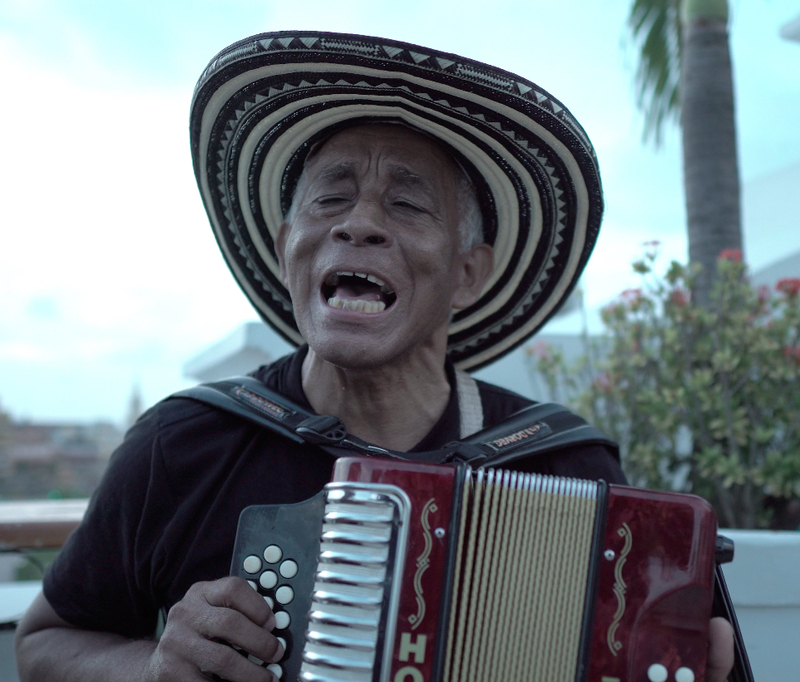 Recent projects include the GRAMMY-Awarded “El Orisha de la Rosa” by Magín Diaz which includes collaborations with Carlos Vives, Totó La Momposina,, Petrona Martínez and Monsieur Periné. Luthiers colombianos promotes the ancestral craft of the construction of musical instruments. It has a presence in the five regions of Colombia and develops its activities of creation, supply, production, distribution, dissemination, research and training in the areas that concentrate the largest handcraft production of traditional musical instruments, in accordance with the musical vocation of each region. This tour is NOT FOR EVERYONE. Let me explain: When I’m build my tours, I’m making sure that the group will be as comfortable as possible, yet I’m also aiming for us to have a deeper and more “real” taste of Colombia. What this means is that you have to be somewhat “Pa’ las que sea!” , which translates into being flexible, cool and understanding of the spontaneity and sudden changes that may occur along the way. If you can honestly answer YES to the following questions, you are ONE OF US! -Are you interested in trying new food even if it’s not what you would normally order? -About 3 of the 7 nights of the tour we’ll visit towns that have limited/no frills lodging. This means that - only when absolutely necessary - you’d need to share a room for a night or two. Are you ok with that? (IT’S THE PRICE OF GOING WHERE OTHERS WON’T). -Are you in shape to endure an hour-long hike in tropical weather? -Can you remain cool if we encounter any obstacles such as road traffic, rain or delays? OF COURSE! Please email me at travelwithgregorio@gmail.com expressing your interest in the tour (feel free to tell me a little about you and why you are interested in joining me). I’ll send you more detailed information and we can also schedule a phone call so that I can answer any questions or concerns you might have. I look forward to hearing from you and to the possibility of traveling together!